Gemma Gené is an architect and visual artist from Barcelona, Spain, based in New York. She moved to the United States to earn a Master in Advanced Architectural Design at Columbia University. After working at Steven Holl Architects, she focused on developing her artistic studio work. Gemma works on sculpture, painting and drawing. Her two-dimensional work focuses on very large realistic paintings and drawings. Her work is a different take on reality. She takes daily objects like balloons, food, glasses etc. and wraps them or uses specific compositions to communicate a message or a sensation. She relies on urban art to make her work accessible. She has participated in the 100 gates project and has done murals in Barcelona, Spain. Her three-dimensional work shares her architectural language and is a study of volume and geometry using stone, concrete, and 3D print. Her work has been shown in New York at the Accessible Art Fair, the Greenpoint Gallery, the Allies Gallery and Figment New York and in Barcelona at the Palo Alto Foundation. She is best known for her online comic 157ofgemma where she narrates in an ironic fashion her life with her inseparable pug Mochi that has a very strong following on social media. Her work has been published in many books, and online blogs like Artnet, Archdaily, The Jealous Curator, and Design Taxi amongst others. I believe in the beauty and power of common objects to communicate feelings from fun to sadness or loneliness. 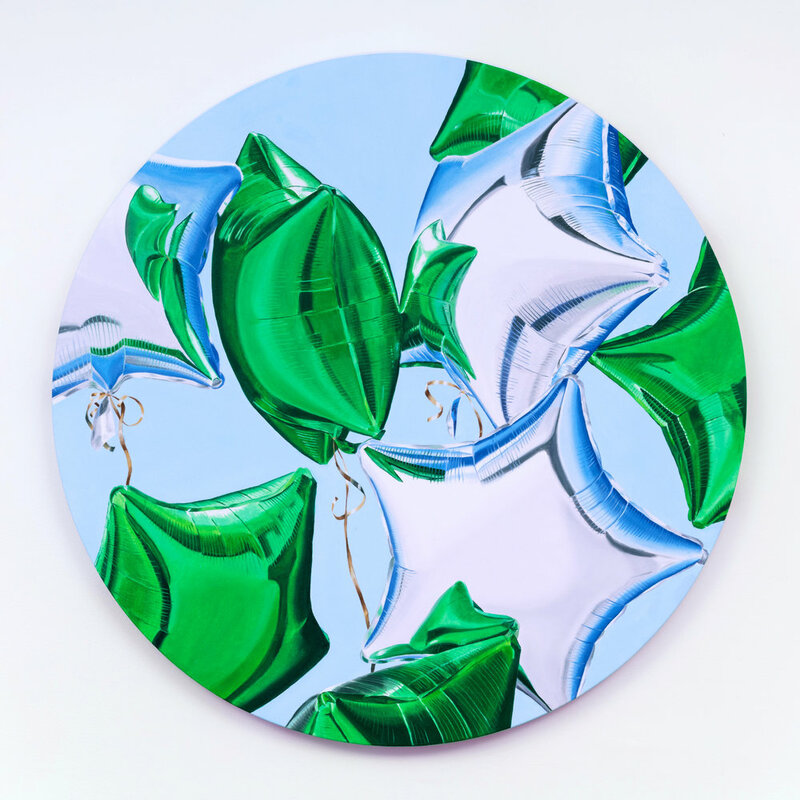 And I am fascinated by reflective materials, balloons, and transparencies. I am especially fascinated by balloons because they are very humble objects, but they have a life of their own (not unlike us) in which they grow towards being more and more inflated very quickly and then begin a slow process of decay and deflation. Foil balloons are very reflective, so their appearance is also affected and modified by their surroundings, again, not unlike human beings. In my work, I like taking everyday objects and editing them so they become something else, changing the perspective we have of them and giving us a chance to look at the beauty of the world surrounding us with fresh new eyes. I wrap objects in a material that hides the object and reflects its surroundings. 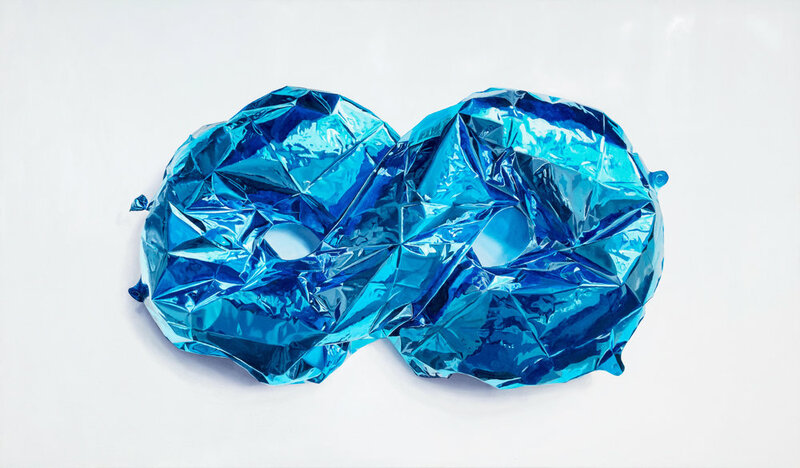 The series Unapologetic Paintings is a collection of installations, street art pieces, sculptures and realistic paintings and drawings of wrapped objects. In this series, the object is hidden and the only thing showing it is its skin or its wrapping, and it can only be revealed by the user’s imagination. What the viewer sees is a "skin" that summarizes the object's geometry creating a new one. I rely on urban art to make my work accessible. One of the pieces of my series Unapologetic Paintings was a street art piece where the object wrapped was my dog Mochi to protest using dogs as objects. Scale is very important in my work. I am very drawn to large scale format, because I believe that when an art piece is big enough it has the power to make you feel like you can jump into it, allowing for a different kind of intimacy in which every detail is visible. Big scale artwork also has the power to distort the perception of your own scale. I think that it is particularly relevant in our current society of immediacy and digitalization, where we often experience the world surrounding us through small smart phone screens, to stop and take the time to observe and really take in a piece of this size (and to devote the time to make it).